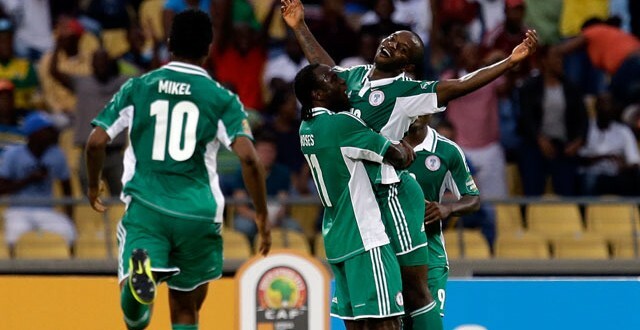 Nigeria emerges winner of the 2013 African Nations Cup ~ Sunday Mba scored the only goal in the first half. Sunday Mba, John Obi Mikel, Victor Moses and Vincent Enyeama led Nigeria to victory over Burkina Faso, righting a wrong for one of the most talented group of players Nigeria has ever seen. Moses was dominant, creating several chances for his teammates. Though he wasn’t busy, Enyeama made a few huge stops. Burkina Faso’s Cinderella story ends with heartbreak, but the nation many had written off before the tournament began almost achieved the impossible. 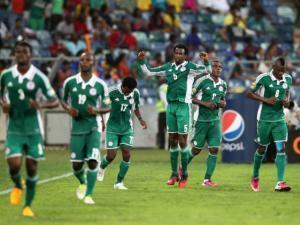 The Super Eagles finished third in 2002, 2004, 2006 and 2010. 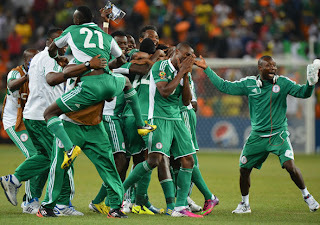 Stephen Keshi, who played in five AFCON tournaments himself, has done what his predecessors could not: win the big games. The countdown to Morocco 2015 begins.